The prevalence of steroid diabetes, also known as steroid-induced diabetes or glucocorticoid-induced diabetes, has varied widely among studies. Excessive exogenous glucocorticoids can reduce insulin sensitivity and impair islet function, thereby increasing blood glucose. 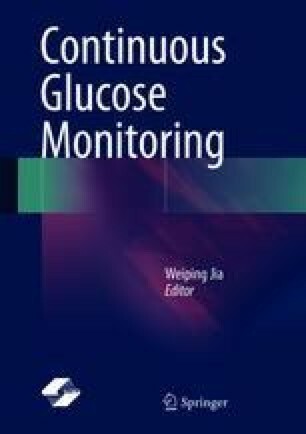 Excessive endogenous glucocorticoids (commonly seen in Cushing’s syndrome) share a similar mechanism in abnormalities of glucose metabolism and are also introduced in this chapter. Unlike common types of diabetes, steroid diabetes has its own unique glycemic characteristics. In cases of steroid diabetes caused by once-daily morning administration of prednisone, patients typically present with predominant postprandial hyperglycemia (especially after lunch and dinner) and mildly elevated fasting blood glucose or even hypoglycemia. Therefore, special attention should be paid in such patients to monitor postprandial blood glucose in order to facilitate timely diagnosis. This chapter introduces the glycemic characteristics of steroid diabetes and Cushing’s syndrome as well as the corresponding screening and treatment strategies in five practical cases.